SwiftKey is one of the most popular and arguably one of the best third-party keyboard app for Android and iOS. The company was purchased by Microsoft for $250 million back in 2016 and ever since then, the app has gotten a whole lot of new features and improvements. SwiftKey which boasts of over 250 million users worldwide is a free keyboard app which lets you replace your stock keyboard app with a more customizable qwerty keyboard. A new version of the App which is the version 7.0 has just been released for both Android and iOS users. One of the newly added features is a toolbar which now allows users to quickly call up stickers and GIFs. You also have the option to create a sticker out of your own pictures but only if you are a subscriber. >> Introducing Toolbar, a new way to get faster and easier access to your favorite SwiftKey features. Just tap the “+” on the left of the prediction bar to give it a try. >> Use & make your own stickers directly within SwiftKey. >> We’ve added new languages: Ayizo, Aymara, Bariba, Bavarian, Bicolano Central, Ilocano, Kapampangan, Kirundi, Latin, Lombard, Mam, Miskito, Nahuatl, Pangasinan, Tongan, Tulu, Upper Sorbian, Yucatec Maya. 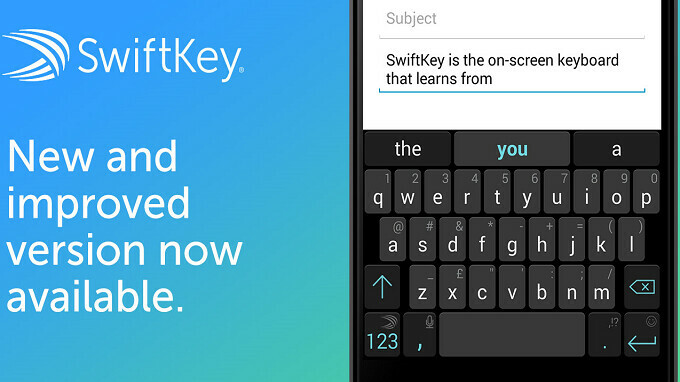 So if you want to try out SwiftKey and enjoy its awesome features or you already have the app installed on your smartphone and want to update to the new SwiftKey Version 7.0, then download from the link below.